“Is quantum physics a stepping stone to a deeper understanding of reality?” asks Michael Brooks in his report on the Vienna Symposium, which was published on November 14, 2015, in New Scientist magazine. The Vienna Quantum Symposium was sponsored by the Fetzer Franklin Fund (FFF) and its major purpose was to explore whether there could – in fact – exist “pre-existing connections between all quantum particles”: Is the world local or nonlocal? A radically holistic conception of quantum reality was first envisioned in de Broglie-Bohm theory in the 1950s, the best-known alternative formulation of quantum mechanics. 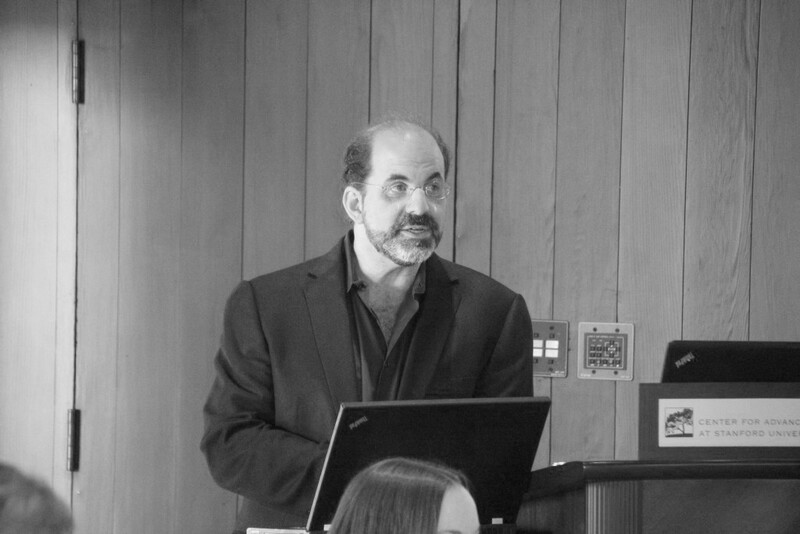 The report by Michael Brooks features statements by EmQM15 presenters also, including by Aephraim Steinberg (Univ. Toronto, Canada), Lev Vaidman (Tel Aviv Univ., Israel), Markus Arndt (Univ. Vienna, Austria), Nobel Laureate Gerard ‘t Hooft (Utrecht Univ., Netherlands), Howard Wiseman (Griffith Univ., Australia), and Jan Walleczek (FFF and Phenoscience Laboratories, Berlin, Germany). For more information about the EmQM15 Symposium see the Events section on this website or go to www.emqm15.org. For the article go to: www.newscientist.com. A Top Five ranking of most frequently downloaded conference proceedings was recognized by the Institute of Physics (IOP) for the EmQM13 Symposium sponsored and co-organized by the Fetzer Franklin Fund (FFF). 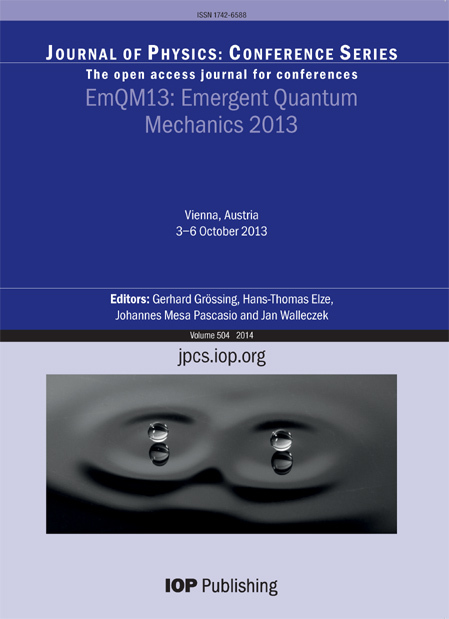 The proceedings featured the original speaker contributions to EmQM13, the Second Symposium on “Emergent Quantum Mechanics”, which was held at the venues of the Austrian Academy of Sciences on October 3-6, 2013. Please obtain an electronic version of the EmQm13 proceedings at the IOP website (Journal of Physics: Conference Series, Vol. 504): http://iopscience.iop.org/1742-6596/504/1. For video presentations of all speaker contributions either go to the event page or go to: www.emqm13.org. Is the world local or nonlocal? What is the nature of quantum nonlocality? Is the world intrinsically interconnected at the physical level? What is the role of the scientific observer? 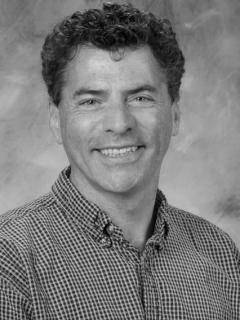 The Fetzer Franklin Fund (FFF) announces the key note and plenary speakers for its upcoming EmQM15 Symposium on “Emergent Quantum Mechanics”. 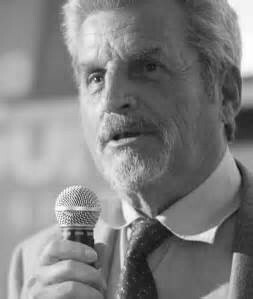 The Opening Key Note Lecture will be given by Prof. Yakir Aharonov. 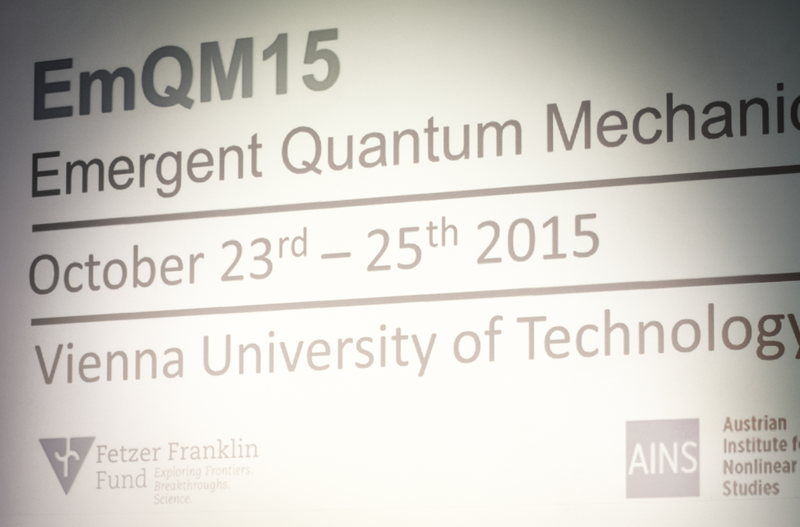 EmQM15 is the Third International Symposium about Quantum Mechanics based on a "Deeper Level Theory". The Symposium will take place at the Vienna University of Technology on October 23-25, 2015. Lead organizers Gerhard Grössing (Austrian Institute for Nonlinear Studies, Vienna) and Jan Walleczek (FFF, Phenoscience Laboratories, Berlin) invite the participation of anyone with an interest in (i) the future of quantum mechanics and (ii) how new insights into quantum phenomena may change long-held assumptions about the nature of physical reality. This event is free of charge. For more information about EmQM15 and for registration please go to www.emqm15.org.